Invite the group/club to hold their next meeting at your clubhouse. Present the President/Leader with a “Try Bowls Free” voucher (home made or even virtual) for every member. Ask if they will reciprocate with a “Try Rambling Free” voucher for your members. Ask if they would like to take advantage of the great atmosphere and hospitality at your club for their next event/end of walk refreshment as your special guests. Ask if they would like to do a reciprocal wife/husband swap: don’t worry, there’s no car keys involved; I just mean next time they are on a Ramble, why don’t all of the Ladies from your club go on the ramble with their ladies whilst your men play bowls with theirs? Next time ladies bowl while men ramble? At your next club meeting; report the outcome of this meeting and suggest that someone else does the same with another local group asap. This is the kind of very simple strategy that can really start to make a big difference to your club and community. 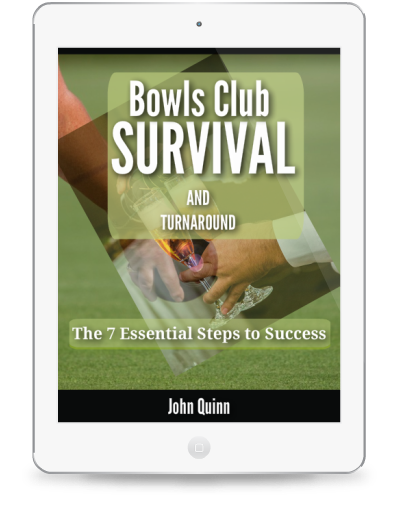 Bowls Club Membership – retention and growth released! Due to the logistical problems we don’t normally let other groups use our clubhouse. However, last year we challenged the local 10 pin bowling club to a ‘home and away’ match. It was a great success and earned us 3 new, and very good, outdoor bowlers. It is now an annual event! Having not bowled 10 pin for over 40 years it took me over a week to recover and the pain wasn’t too pleasant! (I did win my first game). Great idea Edward. Glad it was a success. I wonder if anyone has tried a similar idea between ‘crown’ and ‘flat’ green bowlers? I could see that being great fun.